Busy weekend so I haven't had a chance to listen to this yet--it's first on my list for this week when my life slows down a bit! Love your stories! Also love your book reviews. Wanted to let you know I just finished How to Bake a Perfect Life, based on your review of it on a previous episode. If you're interested, here's my review on GoodReads: I just finished How to Bake a Perfect Life, which I read based on your review of it on your podcast. If you're interested, here's my review of it...http://www.goodreads.com/review/show/164063899. Meanwhile, can't wait to hear about the McDonald's incident! Fantastic review Sandy, I am glad you liekd the book. You'll laugh when you hear the book recommendation in this recent episode - another "bread" theme, LOL. I am now following you on GoodReads...and I am eagerly awaiting your next podcast episode. Thanks for stopping by! Hi Tanesha. I just listened to the MacDonalds episode and cracked up. At work, we could always tell if somone had had MacDonalds from the smell alone after they had left the break room! Also, I want to thank you for your book reviews. I gave Unbroken to my brother-in-law as it's the kind of book he loves. He and I don't have a lot in common, other than we both love my sister (his wife). He was really touched that I sent it to him. I've just finished The Reading Promise. Have you read that? It's an easy read and of course I love the fact that the father read to his daughter every night. If you haven't read it, you may enjoy it. Love your podcast! 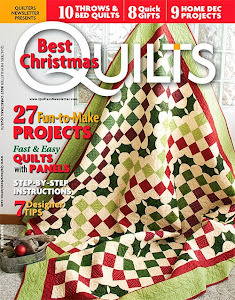 You might check out quiltshops.com for your Giddy fabric. I searched for Giddy and several (2 pages, 104 items each) pages of entries came up. Perhaps you have already found what you need? I just got Sweetness at the Bottom of the Pie based on your review and have put How to Bake a perfect Life on my list to read. Thanks for the book reviews. BTW...you are right. I am doing the Birdie Blocks too but I am VERY behind. 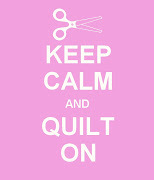 I think I have four done but then I started doing another embroidery stitch-a-long and I have lost my way. I never know which one to work on when I get that five minutes at the end of the day. That is why I haven't spoke about it lately...nothing has gotten done on it. I just found your podcast and have been listening to the older ones. It makes me laugh as my 2-year old is between your kid's ages. Keep it up.